Enclosing a generator in a custom-built enclosure is becoming more accepted as a way of reducing building costs and releasing expensive interior space. Increasingly, architects tasked with maximising the usable space within a building are moving the generator or plant room to the roof or other outside space as a way of exploiting otherwise underused internal space. Acoustic doors provide sound insulation, reducing the level of noise and vibrations experienced outside of a room or container enclosing noisy machinery such as air conditioning or heating plant. 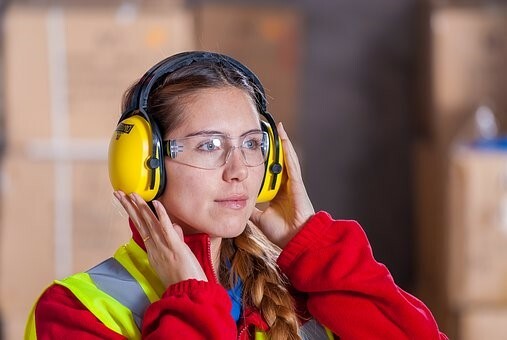 Available in different decibel ratings, at Bradgate, we manufacture bespoke products to cater for different industrial needs meaning you get the level of noise control you need for your specific circumstances. Weather louvres, used in commercial, retail and industrial units are usually installed to protect internal plant and machinery from sand, dust, leaves and rain while maintaining sufficient airflow for the machinery inside. The reason sound proof containers are needed is that diesel generators and other industrial machinery can be extremely loud, so loud in fact, that they can damage the hearing of people working or living nearby. Sound proof containers enclose or isolate noisy machinery located either inside or outside. The case for moving a plant room out of a main office building and into an external, specially designed container is something that can be considered from two separate viewpoints. Firstly, for the benefit of releasing additional workspace for an expanding workforce, especially where space is at a premium, and secondly, for the benefit of any machinery and equipment. Acoustic louvres are often incorporated into the design of a container, enclosure or building to reduce noise levels at source and help meet specific noise reduction requirements within and without the building. Find out more about how they could be designed to improve your building. Our bespoke containers and enclosures are products that are individually designed for each customer, taking into account their specific needs, whether that be for noise control, safety, electrical or installation issues. The Petrochemical Industry needs equipment and containers to withstand the most grueling of conditions and at Bradgate, we are experts in the field. At Bradgate, we pride ourselves on designing bespoke containers for extreme environments. Our containers are perfect for keeping equipment, or people, safe in a range of environments from desert to Icelandic. There are many reasons why you should choose Bradgate Containers to design and manufacture your custom modules and containers, whichever industry you’re in and whatever your requirements are. One of the main reasons is the high standard of our quality equipment, which is always designed to exact specifications and considers relevant standards and legislation. Bradgate Containers design and manufacture a wide range of specialist equipment including containers and modules used in the rail sector. At Bradgate, we’ve provided specialist equipment for a range of rail businesses, including major projects such as East Coast, and Midland Mainline. Network Rail’s approval process is rigorous, but all our equipment is tried tested and approved. At Bradgate, we pride ourselves on the complete nature of the service that we provide. From start to finish, our experts will ensure successful completion of your project and the meeting of your requirements, whether you’re looking for an enclosure, module or container. We have expert teams focussed specifically on designing, documentation and standards, as well as other aspects such as fitting and installation. Why Choose Specialist Containers From Bradgate? At Bradgate, we design bespoke containers for the petrochemical industry. Customers often have specific requirements but we provide many valuable features with our product and service as standard, including detail mechanical and electrical design, dedicated project management and quality management. There are a wide range of reasons to trust Bradgate with the manufacture of your enclosure or container for power generation and plant machinery, but the main one is safety. As well as designing and manufacturing to the highest standard, as an employer you can be rest assured that not only is your machinery protected, but also your employees. The noise generated by machinery in industrial areas can be a serious hazard to employee health and productivity. In these environments, Bradgate offer simple and economic solutions to reduce noise and lower the risk of fire. Bradgate delivered a series of nine modules to a remote petrochemical site in Chad. A 30ft portable transmitter container manufactured for Varian TVT in use at Emley Moor transmission site.